In 1920s Brisbane, Lizzie O’Dea wants to get away from her dad and the memories of her mum that haunt her. At the races, she meets attractive, war-scarred Joe. When he says that he wants to marry her and take her away to far-flung Townsville, Lizzie sees her chance to escape. But Lizzie soon falls through what she’d thought was a safety net. On the fringes of society, she discovers a new sense of independence and sexuality, love and friendship. It’s a precarious life, though. Always on the edge of collapse, eventually it spins out of control. Two decades later, Lizzie is sick and worn out. Lying in a Brisbane lock hospital, she thinks about Joe, who’s been lost to her for twenty years. But she’s a survivor. There’s hope yet. 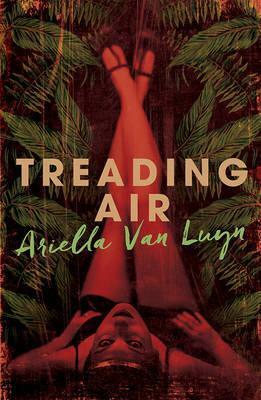 Treading Air is the remarkably vivid tale of a young Australian working-class rebel who clashed with the expectations of her world, and a powerful debut from award-winning Queensland author Ariella Van Luyn.